The Bloomfield Collection by Coaster is versatile and stylish and a great addition to any home. 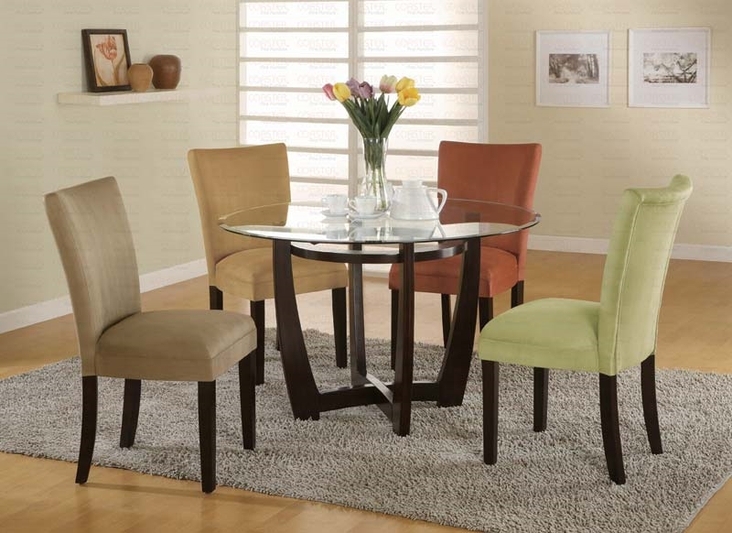 The round table features a cross design for a modern apperance as well as stablility. The glass top beautifully complements the rich dark cappuccino. The chairs feature curved chair backs and plush padded seats in a soft and durable microfiber fabric. Add this collection for a bold look in your home.